Twenty-three million more people would be left without health insurance over the next decade under the House-passed legislation to repeal and replace Obamacare, according to a cost estimate released by the nonpartisan Congressional Budget Office (CBO) on Wednesday. This estimate of the American Health Care Act (AHCA) projects that 1 million fewer people would lose their health insurance over that period than had been previously estimated when the CBO scored earlier versions of the bill. Two separate cost estimates in March projected that 24 million people would be left without insurance by 2026 under the versions of the measure considered at the time. 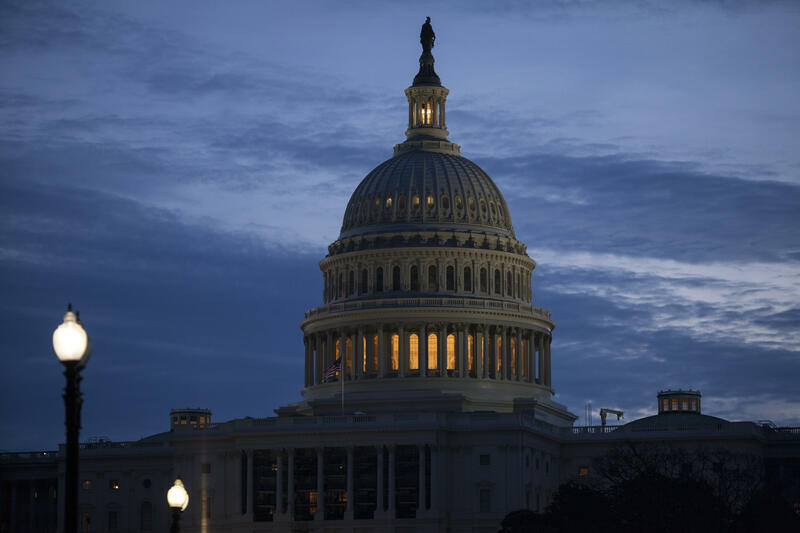 The House-passed legislation would also reduce federal deficits over the next 10 years by $119 billion, CBO said Wednesday, which is less than the $150 billion CBO projected in a score of an earlier version of the bill. There were reports last week that the House might have to vote again on a health care bill if the CBO projection found that the bill wouldn't save at least $2 billion. CBO also projects that the House-passed measure would result in an increase in single policyholder premiums before 2020, by an average of about 20 percent in 2018 and 5 percent in 2019. The report, however, says that starting in 2020, "average premiums would depend in part on any waivers granted to states and on how those waivers were implemented and in part on what share of the funding available from the Patient and State Stability Fund was applied to premium reduction." It also says that for states that don't obtain waivers, average premiums would be "about 4 percent lower in 2026 than under current law." The score from March projected premiums would go down 10 percent, on average, over the next decade. Speaker Paul Ryan, R-Wisconsin, applauded the score. "This CBO report again confirms that the American Health Care Act achieves our mission: lowering premiums and lowering the deficit. It is another positive step toward keeping our promise to repeal and replace Obamacare," he said in a statement. Health and Human Services Secretary Tom Price, however, said that the score is "wrong." Price previously served as chairman of the House Budget Committee in Congress and played a key role in hiring the current CBO director, Keith Hall. "The CBO was wrong when they analyzed Obamacare's effect on cost and coverage, and they are wrong again," the Republican said in a statement. "In reality, Americans are paying more for fewer healthcare choices because of Obamacare, and that's why the Trump Administration is committed to reforming healthcare." House Minority Leader Nancy Pelosi, D-California, meanwhile, blasted it. "Today's devastating CBO score hammers home Trumpcare's dire consequences for working families and seniors across the country," she said. "House Republicans have tattooed themselves with a Trumpcare bill that means higher costs, 23 million hard-working Americans losing coverage, shredding key protections, a crushing age tax and stealing from Medicare." The House narrowly passed the measure in early May by a 217-213 vote after twice not being able to secure enough votes in March to pass it then. Senate Republicans, meanwhile, have signaled that they are writing their own version of the bill, which would then have to be reconciled with the House.